Music for Music for All @ SMSG's first Come & Sing Choral Evensong will include Stanford's majestic Magnificat & Nunc Dimittis setting in C major for SATB choir along with Brahms' beautiful Anthem 'How Lovely are thy dwellings' from his German Requiem of the 1860s. 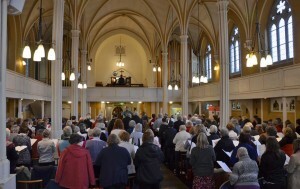 Singers will also chant the psalmody for day and lead the congregation in Tallis' Ferial responses. There may also be one or two hymns. It is a wonderful opportunity to sing with the beautifully restored Fr Willis Pipe Organ at SMSG. The Come & Sing Choral Evensong choir will be directed for the day by Jonathan Kingston, Director of Music at SMSG and leader of the last two Come & Sing! days here. The organist for the day will be Graham Griggs, who was Director of Music at several top UK independent schools and in retirement continues to examine for the Royal Schools of Music. Fr. Ross Northing, Rector of Stony Stratford and Calverton, will officiate at the service. Choral Evensong is one of England's richest traditions in the Anglican Church where the daily evening office is both sung and chanted. Evensong is a service which lasts around 45 minutes and is a service which is still sung daily in our Cathedrals and greater Parish Churches. This event is open to all singers locally who would like the experience of singing this type of music and are able to join us on the day to learn these works. This Come & Sing day is free, but we ask singers to register in advance so that we can make practical arrangements for scores, seating, and refreshments. Simply select a ticket for your voice part (SATB). It will help us if each singer registers themself,with their own email address, rather than doing a group registration - thank you! Anyone who would like to attend as congregation will be very welcome at this act of worship which begins at 5:00pm. 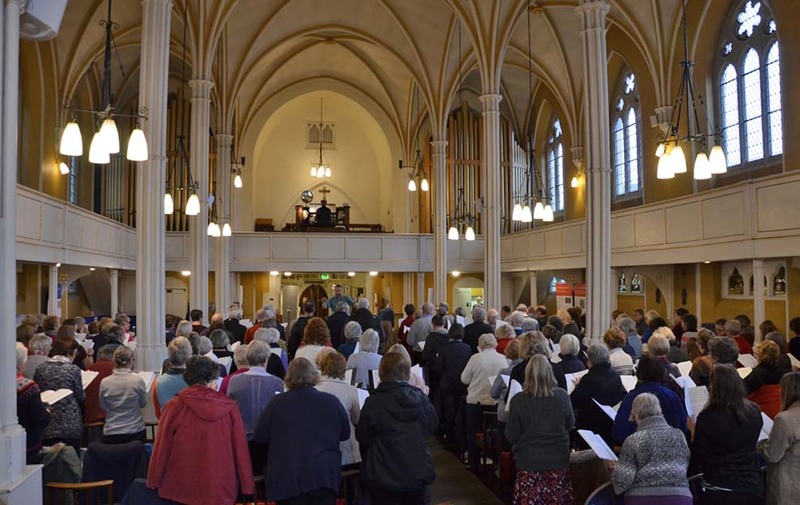 Singers are warmly invited to spread the word across the network of local choral groups and parish choirs so that all singers are aware of this collaborative opportunity. Who can come & sing This event is open to all singers locally who would like the experience of singing this type of music and are able to join us on the day to learn these works. The whole day is free but donations to the Organ Maintenance Fund will be welcomed. Refreshments Tea/coffee will be available in the Parish Hall in the morning, and again in the afternoon with cake (including gluten-free option). Singers are welcome to bring a packed lunch and stay and eat it in the Parish Hall. Alternatively there are many shops, cafes and pubs in Stony Stratford. Parking There is plentiful free parking in Stony Stratford - click here for a map. Conductor and Organist: Jonathan Kingston (conductor) is Director of Music at St Mary & St Giles (from September 2017) and well-known as a lively and entertaining event leader. He has previously been deputy organist at Ely Cathedral and assistant Director of Music at Stowe School, Bromsgrove, and The Kings School Ely. He performs with leading orchestras and is a senior examiner with ABRSM and RSM. Under the lively direction of Jonathan Kingston we’ll learn and perform two Festival Canticles: Haydn’s majestic C Major Te Deum, and Benjamin Britten’s ebullient Jubilate. Ralph Vaughan Williams’ beautifully colourful setting of ‘Toward the Unknown Region’, with accompaniment on the Father Willis pipe organ, completes the programme. Put the date in your diary now; full details and online booking will open at the end of June. Further information and queries: If you have any queries, please do contact the Come & Sing team.